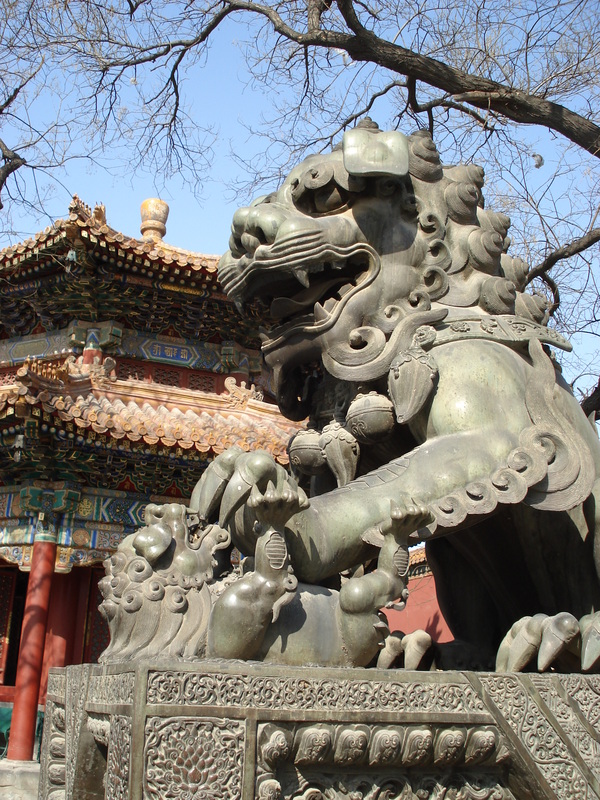 The dragon may be the most powerful, popular and well known animal in Asian culture, but there is another animal that is far, far more common in daily life in China and all over Asia: the Lion. Being a newcomer to Asian culture, sometimes I notice things but don’t understand their significance. 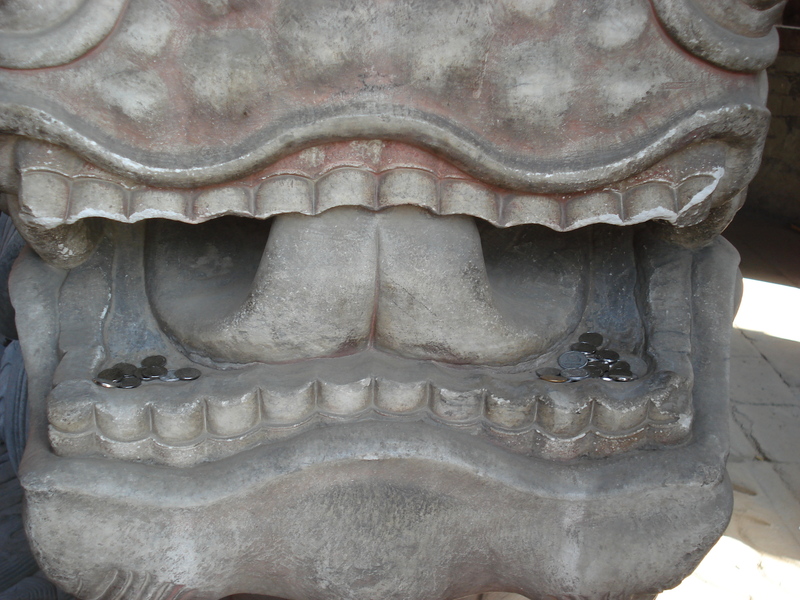 For example, a long time ago I noticed that every temple and most major offices, businesses, hotels, banks, and even restaurants have a pair of stone lions guarding their entrance. Some are grander than others; temples and government buildings of course have massive ones, and small businesses have little ones, some as small as your hand. But one thing I noticed is that they always come in pairs, and each one does something very different and very specific. But that was as far as my knowledge went. So, I decided to finally do a little research and relieve my ignorance on what these guardian lions signified, and why they each had a role to play. 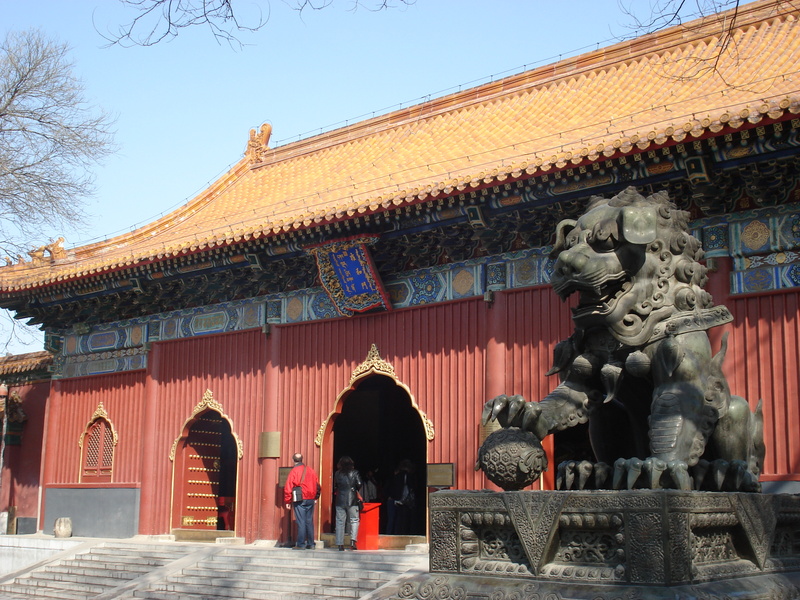 Above, at this temple that I visited in Beijing, we see one lion with its right paw on what appears to be a ball or some kind of round object. This is actually the male lion resting its massive paw on an embroidered ball to represent the world. And the other one, which at first glance appears to be another lion in the process of killing a baby lion, is the female lion with its playful cub (and not killing it at all, phew!). I learnt that the pair of lions is meant to represent yin and yang — the female being the yin and the male being the yang. The female lion protects the people inside the building, while the male protects the outside and keeps the baddies out. The pair must be set up in specific locations according to the rules of feng shui, with the male standing on the left (looking away from the building) and the female on the right. 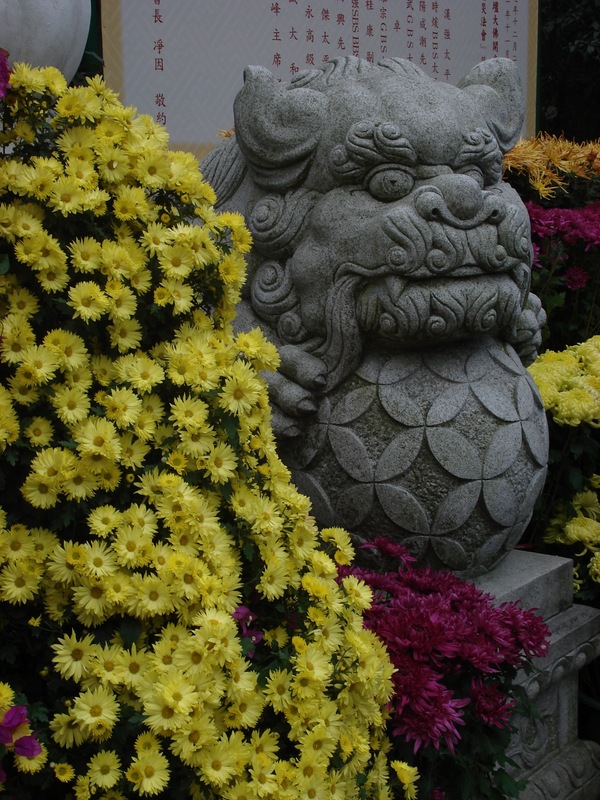 From the Forbidden City in Beijing to the traditional island homes in Okinawa to the Imperial Museum in Taipei, the lions are ever-present, and come in various styles, depending on the culture, and go by different names. Some are also carved to include a ball in its mouth, just big enough to roll around, but not small enough to ever come out. But, they rarely vary from the yin and yang theme, with the male and the female standing guard together, each playing its role. Interesting! Have you been visiting Okinawa recently? Have looked at them all my life. A bit eroded now but will go see who is female and who male.and who is looking in which direction.